So I have a couple of big posts to write. And some hard decisions to make. And a whole bunch of generally BIG, HARD stuff hanging over my head. Everything feels UNdone, UNresolved, just UN-. I”m not really handling it very well. So here’s my thought for today. Instead of delving into all of the BIG, HARD, undone stuff, let’s have some fun. Last night, I went to grab something out of the pantry. 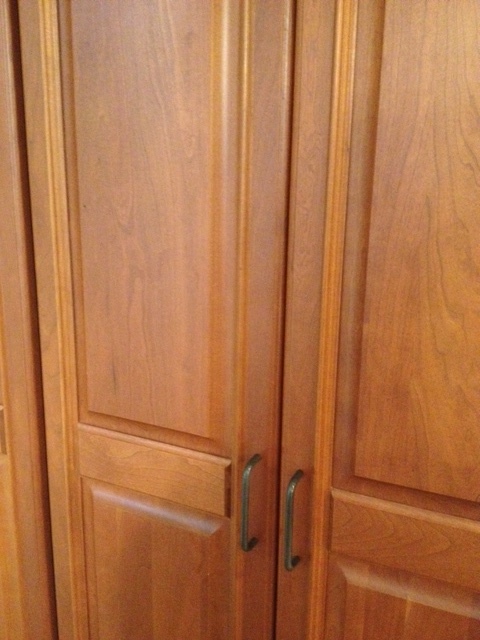 Image is a photo of the pantry doors. My kitchen is lined with these. There’s the one that has the canned goods, the one that has the dried goods, the one that has the baking supplies, the one that has the crackers, nuts, dried fruits and other assorted foodstuffs. And then there’s this one. The one that contains the things that we don’t talk about. Now, if you don’t happen to have a pantry section that you don’t talk about, I am very happy for you. Truly. I don’t begrudge you in the least for being health conscious and for keeping junk food out of your house. We feed our kids extremely well-balanced and very healthful meals. And sometimes, really crappy snacks. Moving on. 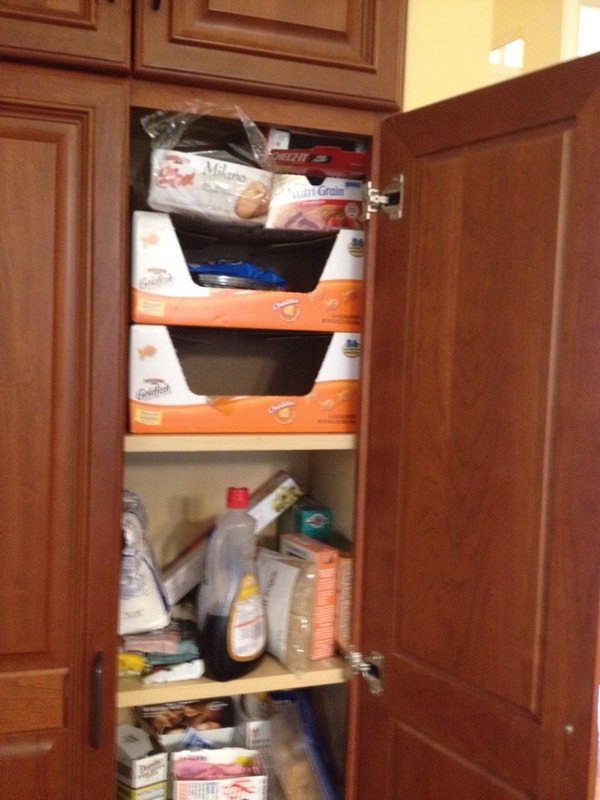 Image is of the inside of the pantry. Three shelves are visible. On the lowest is an assortment of sugar: white sugar, brown sugar, raw sugar (what? we like our sugar) and then boxes of sweeteners that we keep handy for guests who like their coffee to taste like chemicals. On the middle shelf is a bag of what looks like flour, some maple syrup, some rice, some more rice, a different kind of rice (what? we like our rice) and a box of some kind of pasta diagonally across it all. It’s not pretty, folks, but it’s about to get worse. So, let’s take a closer look at this post-apocalyptic scene, shall we? 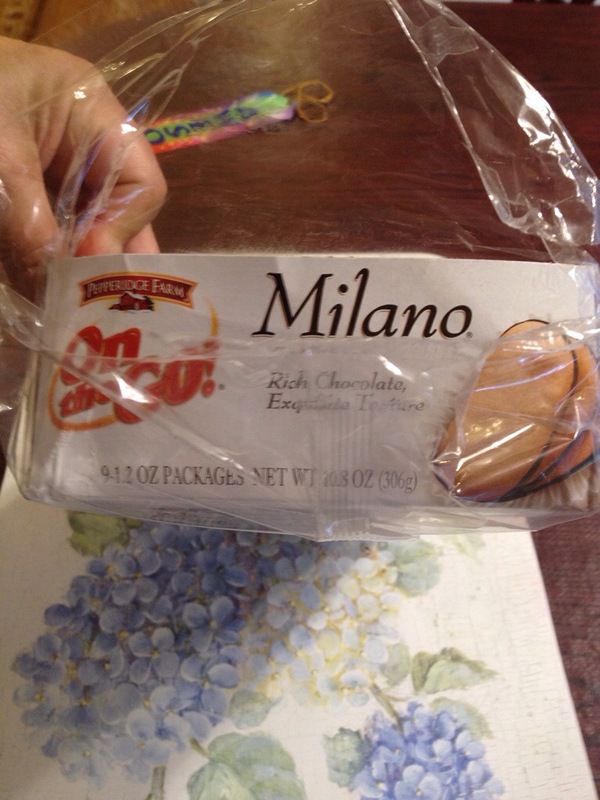 Starting with the Milanos. 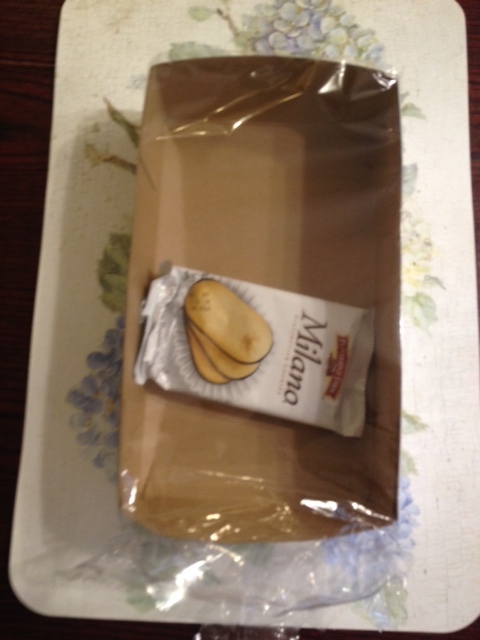 Image is a photo of the package, which shows that it holds 9 12oz bags. So, in addition to feeding my kids crap, we can add, “killing the environment with needless packaging” to my rap sheet. Delightful. And here we see what is actually in that big box. The one that holds NINE twelve ounce bags of Milanos. One package. One. Looking very lonely in its very, very big box. So how about the Cheez-Its? What’s going on in there, I wonder. Let’s find out. And now we know. 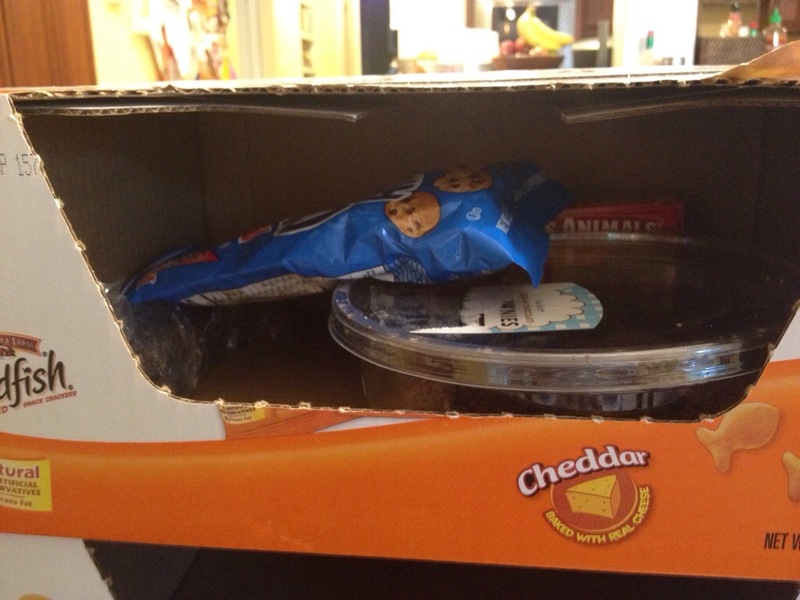 Neither Jimmy Hoffa nor a single Cheez-It are in the Cheez-It box. 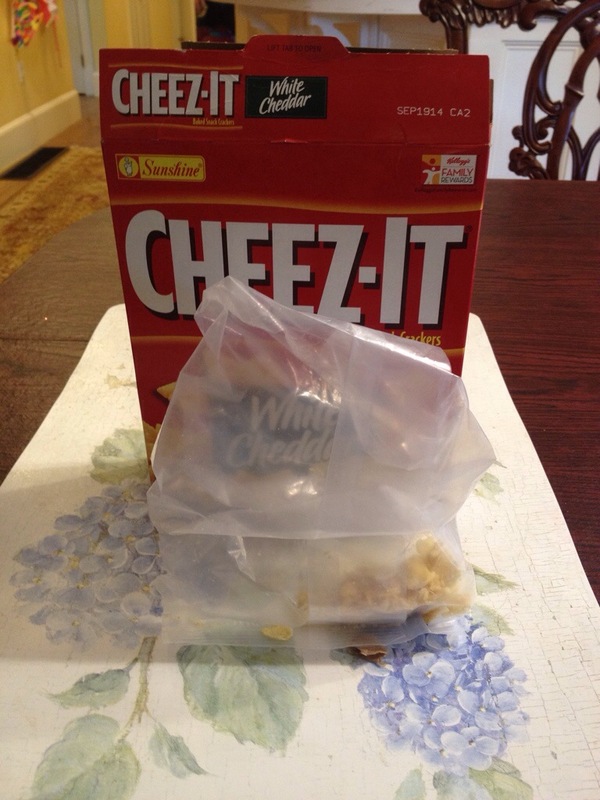 Image shows the bag from inside the Cheez-It box, which contains nothing but crumbs. Moving onto the NutriGrain box. I may be overly optimistic, but I feel good about this one. I mean .. GRAIN. Image is the front of the NutriGrain package. 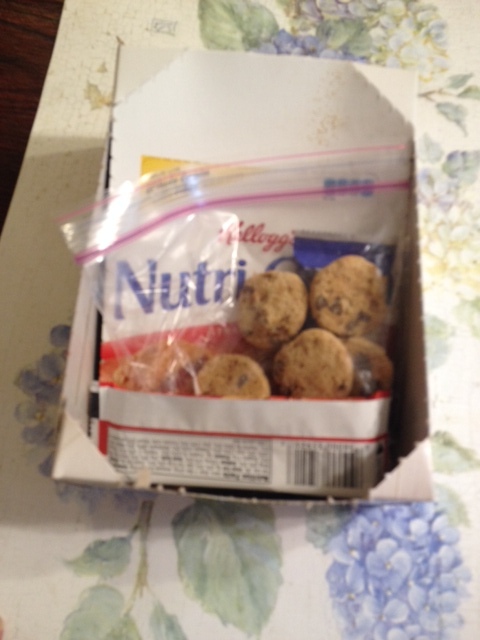 And … we find cookies in the NutriGrain box. Dear God, is nothing sacred? Image is the NutriGrain box shown from the top, where we see that, like the text book within which hides a Mad Magazine, it actually contains a baggie full of Chips Ahoy cookies. I guess it wasn’t really optimism, just a little gas. Let’s see what we’ve got in those two GIGANTIC Goldfish boxes that are claiming Baltic Avenue, Marvin Gardens, Park Place and Boardwalk up there, shall we? Is it just me, or do those not look like Goldfish? Image is a close-up of the two HUGE Goldfish boxes. Something sticking out of one of them is decidedly not a Goldfish bag. 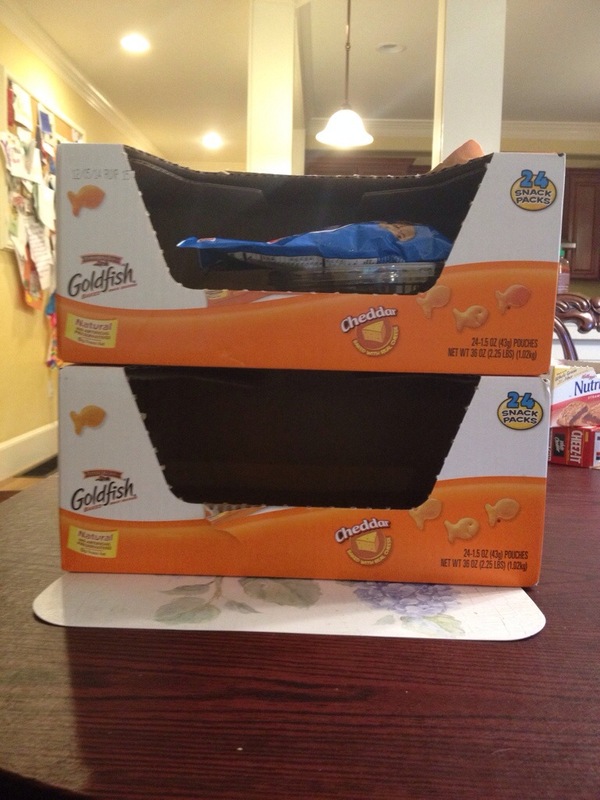 Image is a closer-up of the top Goldfish box. It contains a tub of stale brownie bites, a bag of Chips Ahoy, and a box of Animal Crackers. Please insert your own snarky commentary, I’m just going through the motions now because this has moved onto just plain pathetic. Just because I hate not finishing what I started, let’s peek into that bottom box, shall we? 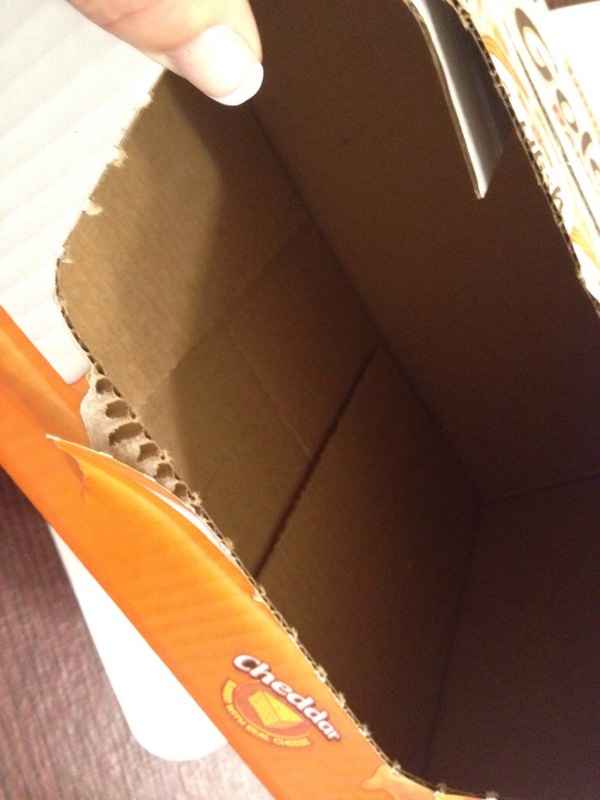 Image is a close-up of the inside of a completely empty box. Oh, Geraldo, I feel ya, brother. Have a good day my friends. And remember, you’re only as pathetic as your pantry. Have a better day, Sweetheart. Your Mother still loves you (unconditionally)! But those boxes are so good for keeping other stuff in that it only makes sense. Just imagine if those boxes weren’t there, it would be much harder to keep the other things arranged nicely. Yeah, I can pretty much justify anything (sarcasm). Have a great day Jesse. What? No way. That gives my pantry too much power. I say my pantry is pathetic which frees me to be. Whatever the opposite of pathetic is. It’s a rainy muggy morning north of Boston and the word won’t come to me. 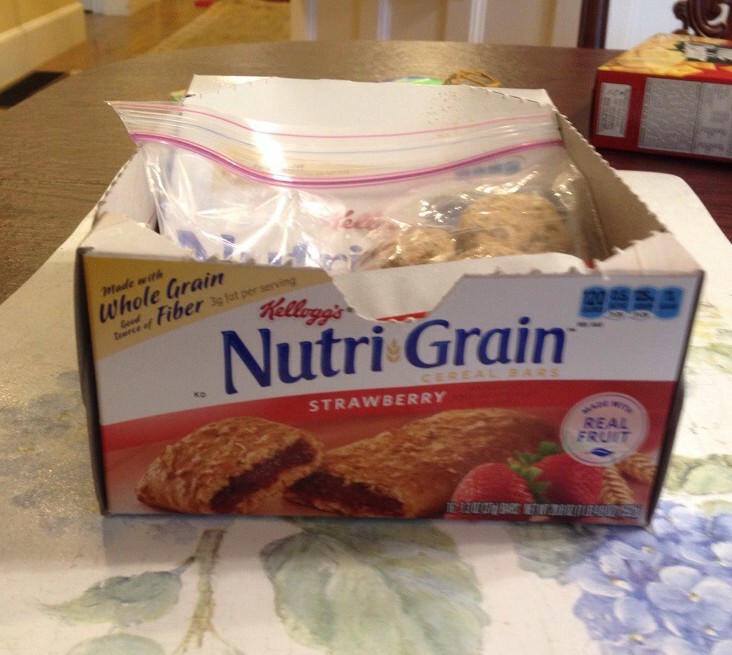 I looked into our pantry junk drawer and found an empty box from nutrigrains, two boxes of pop tarts (the kind all four kids hate but I refuse to buy more until they’re gone), half a box of saltines and a bag of corn bread crumbs from thanksgiving that I keep meaning to use in a recipe because they haven’t expired yet. Thanks for giving me a smile this morning. Saying a prayer for you and yours, for wisdom and discernment and peace on the big stuff. All I can say is that you just made me feel better about, well . . . everything. thanks. Um. Hmm. I’m not sure how to say this, but ..
Is there something you haven’t told me, honey? i .. uh .. i got nothin’. Whoops… I thought I was on another blog… so so so sorry… Well at least my last four sentences are true!